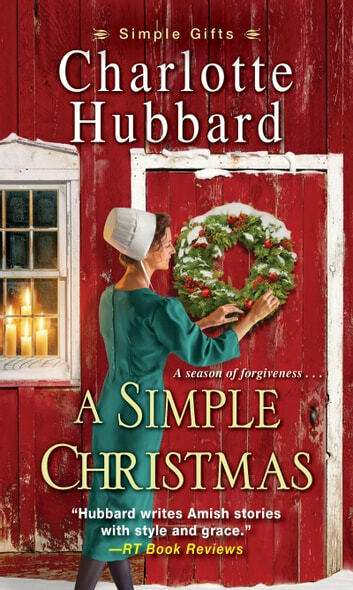 A Simple Christmas by Charlotte Hubbard is the third book in the Simple Gifts series. Nora Hooley’s shop, Simple Gifts is full of beautiful handcrafted Amish items including wreaths made by Rosalyn Riehl. Rosalyn works in the shop part-time as well happy to escape from her crotchety father. Rosalyn is the last unmarried daughter of clockmaker, Cornelius Riehl. They have been receiving bills with Past Due on them and Cornelius is providing less money for household expenses including food. Cornelius spends a great deal of time locked away in his workshop and his attitude, which has never been cordial, has gotten worse of late. Rosalyn is thankful her sister and her husband are still living with them. Marcus Hooley, a horse trainer, arrives in town for his new job with Wyatt McKenzie. Marcus’ wild ways have gotten him fired from his last three jobs despite his excellent skills and he is worried that someone is following him to Willow Ridge. Marcus was raised Amish, but he jumped the fence and has been enjoying the Englisch lifestyle. Despite his unorthodox arrival at his farm, Wyatt hires Marcus with certain conditions. This is Marcus’ last chance and he knows it. When Marcus meets Rosalyn, he is attracted to the lovely Amish maidel. Spending time with Rosalyn and the residents of Willow Ridge, makes Marcus rethink his life choices. Marcus beings to notice some oddities and may be able to shed some light on hidden secrets. A Simple Christmas is a lovely, heartwarming Amish story. I thought it was well-written with steady pacing. It is an engaging novel that captured my attention right away and held it until the end. There is a complex plot involving Cornelius with unexpected twists along the way. I was eager to find out what secrets Cornelius has been keeping from his family and the town. Cornelius is the type of character that readers will dislike (just like we are supposed to). Rosalyn is a caring, thoughtful woman with a good heart. Marcus was the perfect partner for Rosalyn. It was nice to see him evolve. Charlotte Hubbard creates wonderful characters, and I love the town of Willow Ridge (I want to live there). Such a charming small town with thoughtful residents. It was nice to spend more time with Wyatt and Rebecca. Readers will be happy with the developments in their relationship. A Simple Christmas is not a standalone novel. You need to read the books in the Simple Gifts series in order as each book builds upon the previous one. I am giving A Simple Christmas 4 out of 5 stars (I liked it). While the romance is predictable, is it sweet and romantic. One of the main Christian themes is putting our worries in God’s hands and let Him handle it. 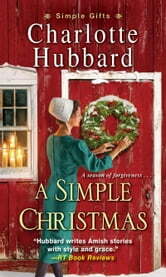 A Simple Christmas is an uplifting novel that will warm your heart and have you humming Christmas carols.